* Torrent™—84% polyester 16% elastane. Moisture wicking, breathable, stretchy, jersey knit textile with a soft, brushed surface and a Polygiene® finish to manage odour. 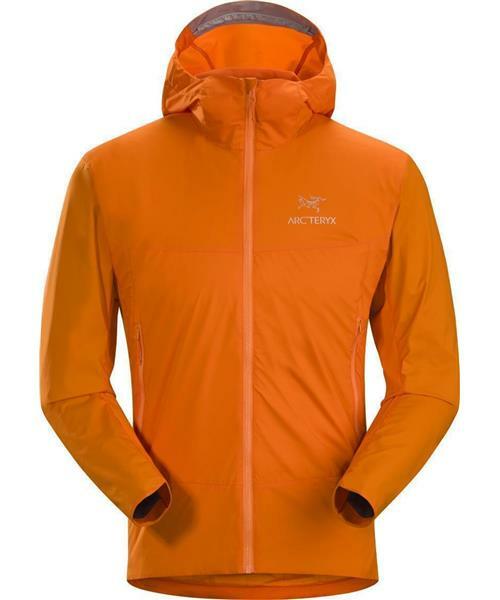 Atom SL Hoody - Mens is rated 5.0 out of 5 by 2. Rated 5 out of 5 by Carter from Great buy! I didn't even know I needed this product until my wife suggested it. And thank goodness she did because it is a versatile summer weight. Light to pack and warm on cool mountain nights. Rated 5 out of 5 by Joos from Light, packs well, great for ski touring Bought this jacket last month and have not stopped wearing it. Fantastic layer for ski touring. Cuts the wind and let’s the heat out when climbing.